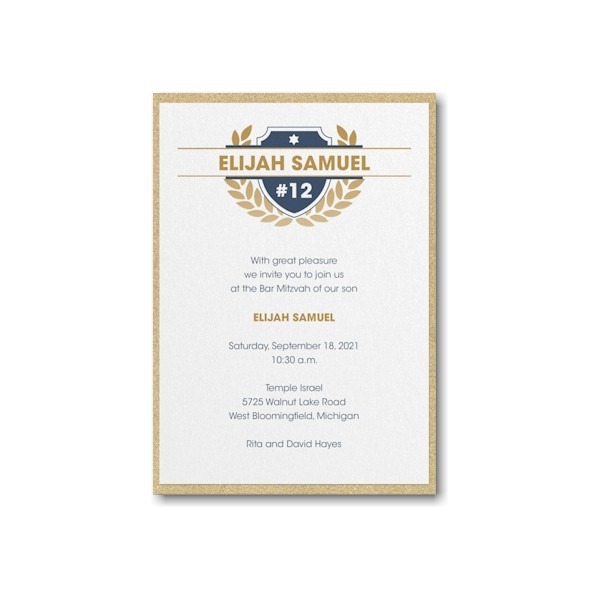 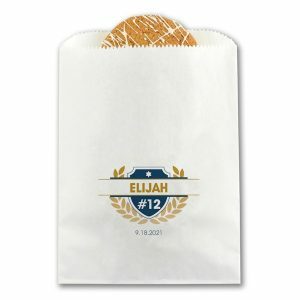 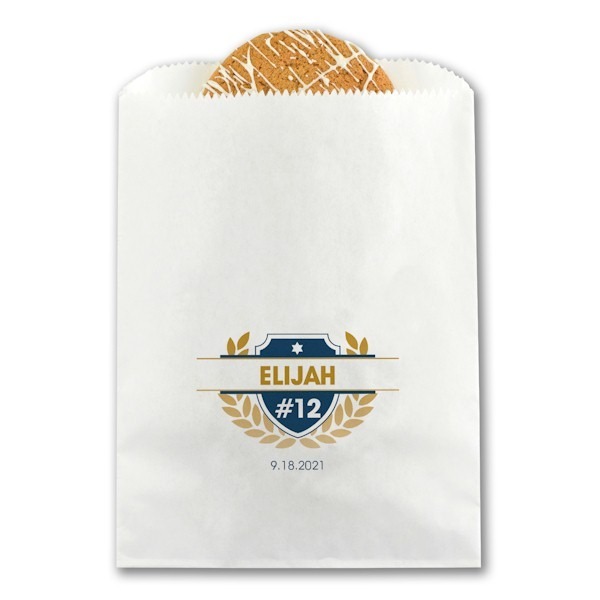 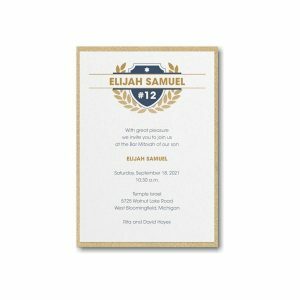 This Bar Mitzvah invitation on White Shimmer card stock features a sophisticated crest motif at the top. 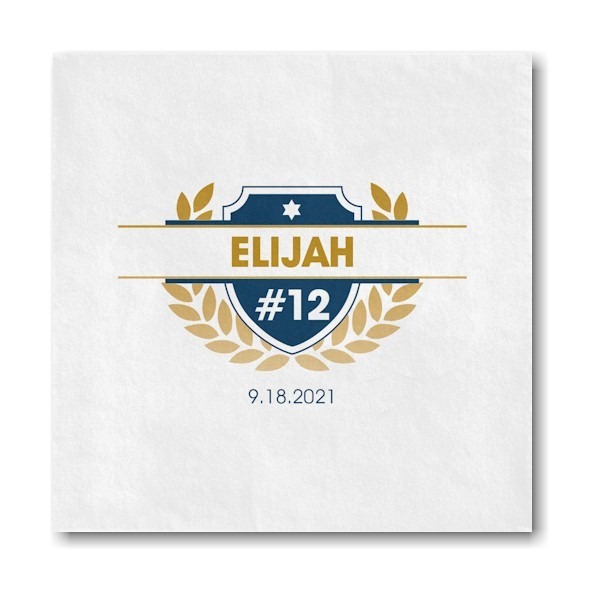 Your first and middle names appear in jumbo letters across the crest. 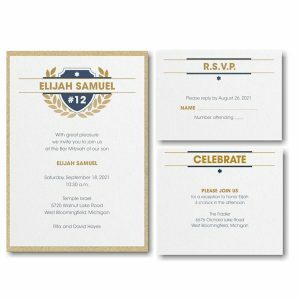 A bottom layer of Gold Glitter card stock provides the finishing touch. 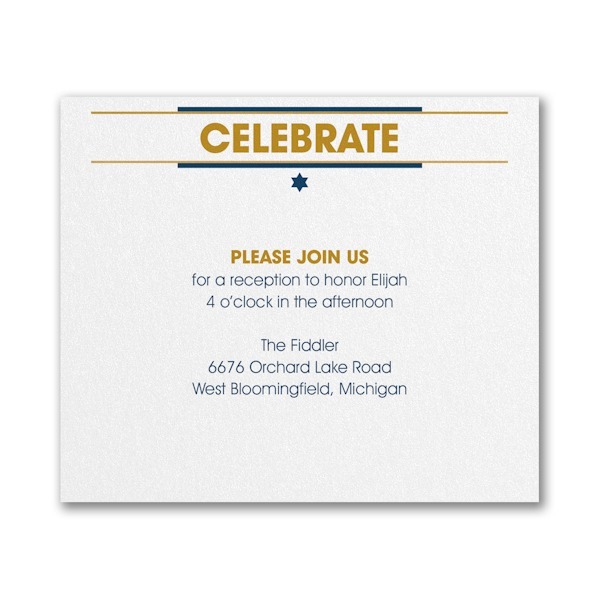 This Bar Mitzvah invitation on White Shimmer card stock features a sophisticated crest motif at the top. 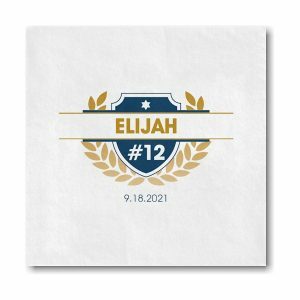 Your first and middle names appear in jumbo letters across the crest. 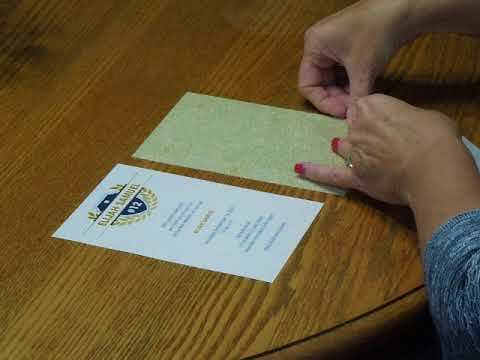 A bottom layer of Gold Glitter card stock provides the finishing touch. 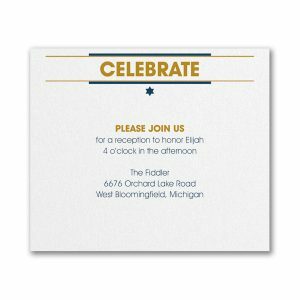 Measures 5-1/8″ wide by 7-1/4″ high. 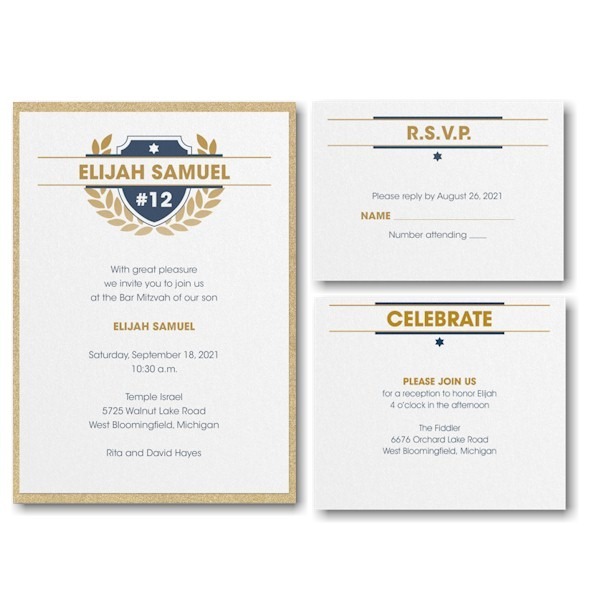 Shown with flat Midnight/Brass inks and combination lettering styles AVG/AVB. 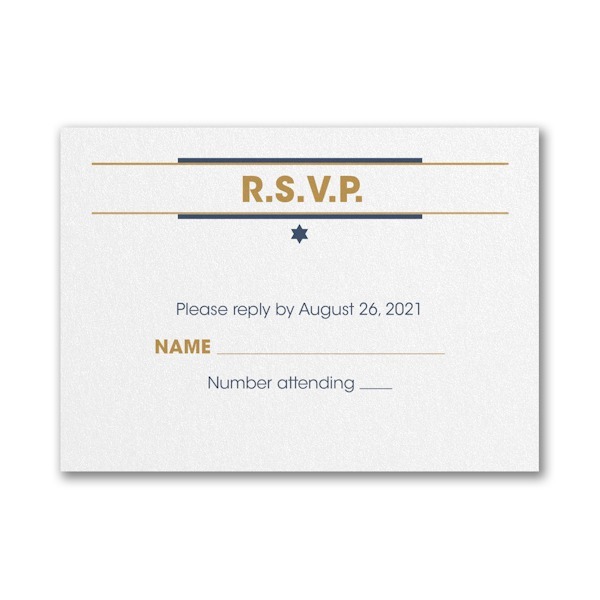 The coordinating reception and response enclosures will print on matching single card stock. 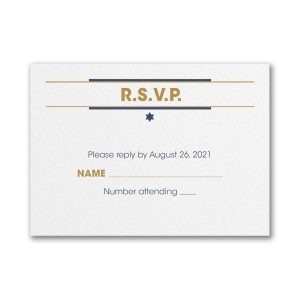 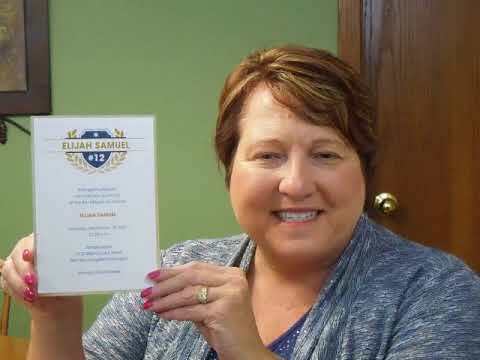 This Bar Mitzvah invitation comes with single bright white envelopes.